In 1966 a dam was built along the Trinity River. 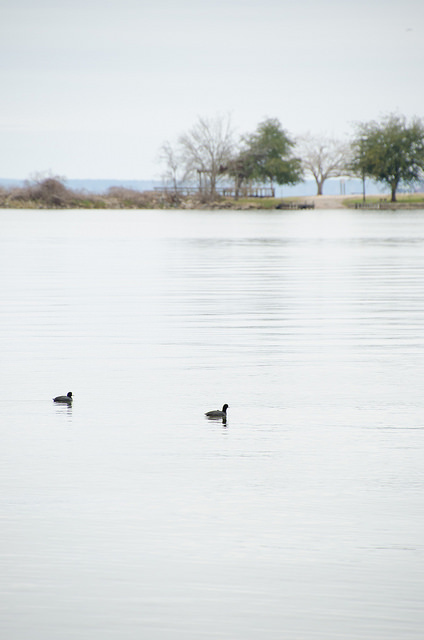 The spreading river soon formed Lake Livingston, the second largest lake in Texas. 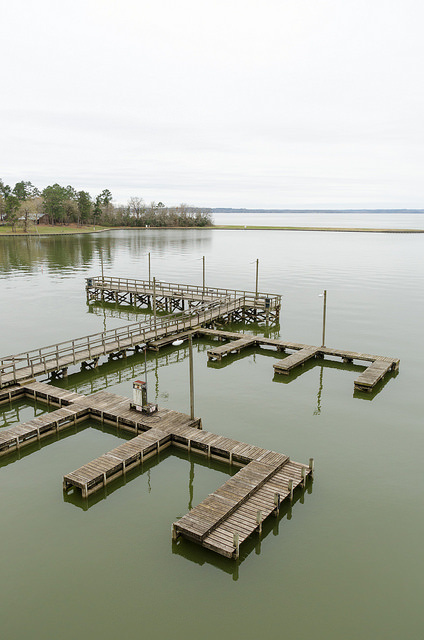 The lake lies just west of the town of Livingston (the county seat of Polk County) and 75 miles north of Houston. Today, the lake doesn’t just provide water for the more than 2 million people living in the country’s fourth largest city. 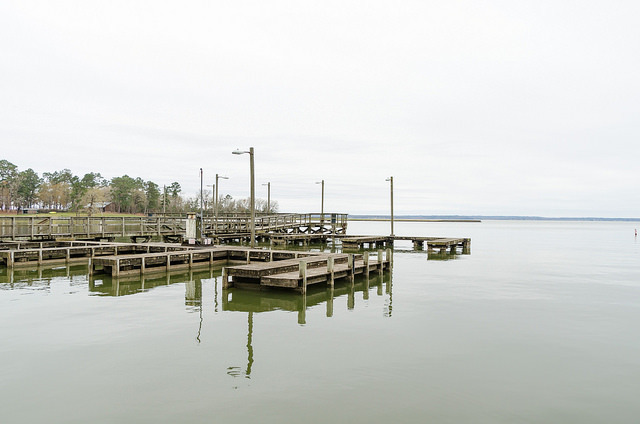 It also provides recreational opportunities for the people who live along its 450 mile shoreline. 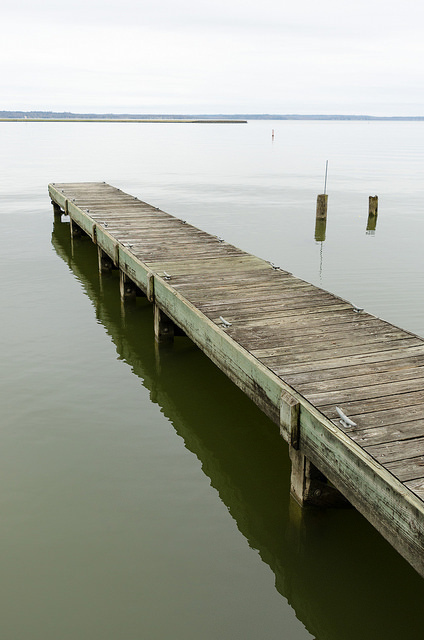 For visitors to the area, one of the best locations from which to view the lake is Lake Livingston State Park. 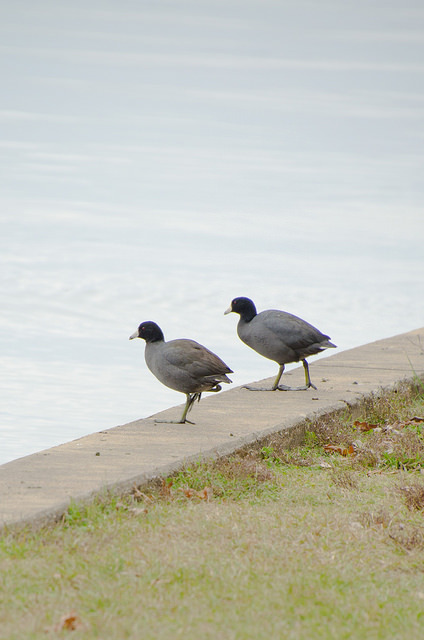 The park can be found on the lake’s eastern shore, just a few miles north of the dam. 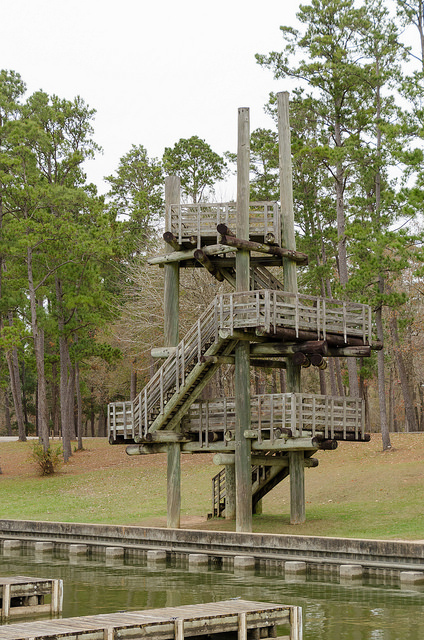 Though the view from the park's shore is beautiful, the park has something even better on offer: a 30 foot observation tower. Constructed of large logs, the tower has the feel of a tree house and childhood magic. On a cool winter day, there are few visitors here. The silence ripples across the water and the lake is still. There are no boats occupying the available slips. No children running on the pier. The entire area seems to be waiting on an inhale. It’s clear this place attracts the summer crowds, the people who’ve discovered the secret to enjoying the heat and sun. Close by, there’s a swimming pool and behind it, we’re told by a park ranger, there’s both a bald eagle nest and an osprey nest. It would have been nice to see the birds, but there was no one home when we passed by. Though there are walking trails in the park, they’re not long. 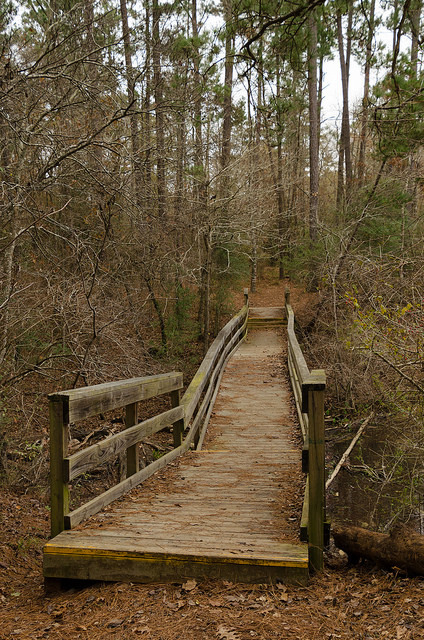 The Pineywoods Boardwalk Trail is only 0.9 miles, but what it lacks in distance, it makes up for in sights. 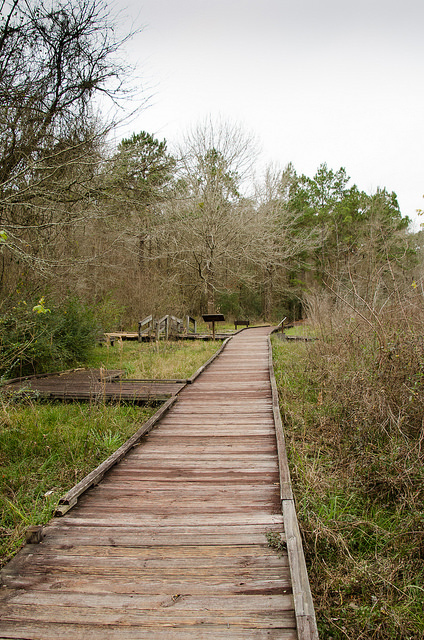 There’s wetland and ponds to enjoy, grassland, and of course the winding boardwalk through the tall pines. Now, in winter, the leaves have mostly fallen. Still, silence is temporary as animals disturb the forest floor in search of food. Visibility increases through bare branches, but it doesn’t seem to make it any easier to capture the still form of a bird. I wonder if, like children, they enjoy the sound explosion of brittle leaves. 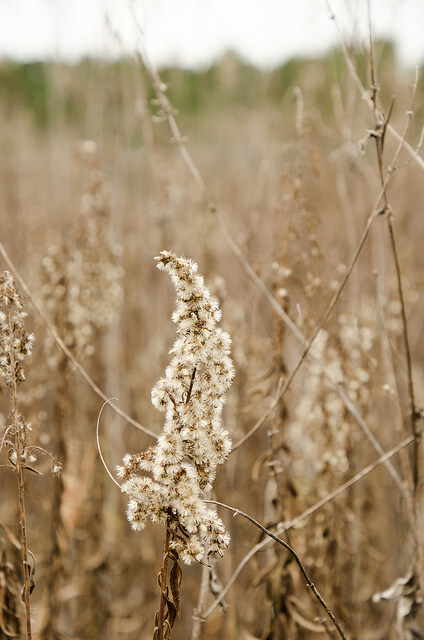 It’s easy to feel that winter’s brush is loaded with dreary colors. I used to feel that way. Photography has taught me to see more than I used to. The colors may be muted, but they’re still there: golden yellow tones, rusty reds easily mistaken for brown, pale greens. The bare branches of the trees reach to the sky, some of them twisted and gnarled in form, others, slender and straight. The leaves can no longer identify the tree, but the shape of limbs and branches differentiate them easily enough.